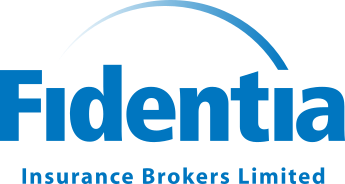 The Senior team at Fidentia Insurance Brokers has over 120 years’ combined experience in insurance. We’ve worked together for over two decades, and have built a business where the whole team are passionate about delivering a first class, bespoke service to each of our clients. In the heart of the City of London’s Financial District, our London base provides us with easy access to Lloyd’s of London and other key insurance companies. We provide a wide range of insurance products for clients within the UK, Europe and the US. Through the Lloyd’s of London branch office in Brussels, we will continue to support overseas clients effectively when the UK exits from the EU. Our close proximity to the major insurers’ Head Offices, enables us to negotiate promptly and more effectively on your behalf to reach a positive outcome. Over the years we’ve built up close working relationships with key underwriters and insurers. We also offer liability and other related cover for clubs, associations and member societies. We support brokers who require delegated authority access to the Lloyd’s market. If you cannot find the class of insurance that you are looking for, please contact our office and we will be happy to assist you, as this is only a brief list of insurances that we can arrange. Our team provides a full broking service, with personal contact as standard. This level of service is important to us as we firmly believe you should always be able to discuss your insurance requirements directly with one of our team, and not via an automated phone system. We have an in-house claims team who are on hand to actively manage the whole claims process for our clients. As well as being a Lloyd’s Broker, we are authorised and regulated by the Financial Conduct Authority (FCA) and a member of the British Insurance Brokers Association (BIBA). Fidentia and their staff support a wide range of worthy community activities and causes – this involves active fundraising, individuals providing support at events and client nominations. Such charities include the local Greek community events and the NSPCC. Fidentia also strive to recycle wherever possible in order to support environmental well being.